TARDO Filipinas Inc., a member of the TARDO Group of Companies, has established its identity as a respected manufacturer and exporter in the Philippines. It promotes the development of local, eco-friendly products, tapping organic products that are essential to one’s health and advocates awareness of health benefits to consumers. TARDO Group of Companies has principal offices in the United Kingdom and Russia. Tardo Filipinas, recognizing the importance of Philippine-made organic products, offers products that are 100% Filipino. Their raw materials come from various Filipino farmers across the country, promoting local agriculture. Through its business, the company helps the agriculture sector become more productive and contribute to shaping the community. It also uplifts the spirit of the farmers, getting them involved in preserving the environment and improving the local economy, and hopefully someday, becoming a major player in the export industry. Embedding sustainable and responsible sourcing principles in their operations, Tardo Filipinas continues to support and enhance the best practices in trade across the world. The company delivers favorite products and variations. The company’s track record also shows that their goods – from coco sugar, Muscovado sugar, organic black, brown and red rice, and canned seafood – has reaped recognitions in other countries such as Russia, Israel, Ukraine and the UK. The health benefits each product has reached internationally, and more people have shown interest in buying and using them in their kitchens, homes, restaurants, bakeries and coffee houses. All the products they serve have passed the International Standard Certifications issued by the government agencies & other international bodies. 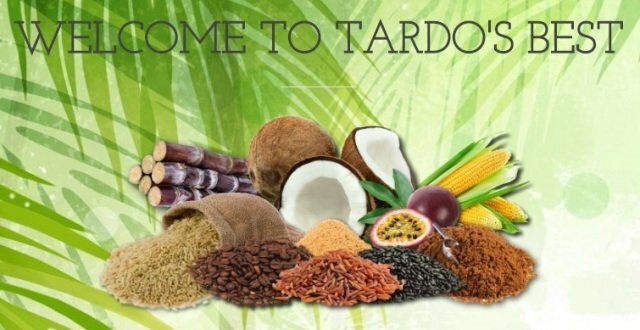 Reliability and consistency are the key strengths of Tardo Filipinas, Inc.’s products, especially the highly perishable ones. What they bring to their customers is assurance, that quality and safety are their priority, and that the delivery of canned fish products is not compromised. As the company continues to serve both local and international clients, Private Labeling is one of the most vital services they offer, based on their standards on product specification.